Sages and scientists, poets and philosophers, artists and athletes have known for centuries what is now visibly measurable. We have choice over the excellence in our lives. A group of helping professionals – therapists, facilitators, coaches, spiritual directors, educators, and the like – will gather in Denver, Colorado May 8-12, 2017 for an extraordinary experience. Will you be among us? Since 2013 Deborah Ross and Kay Adams have partnered to provide concentrated courses on self-directed neuroplasticity—a combination of Deborah’s signature “brain on ink” methods with Kay’s classic journal therapy methods. Shuttle from Denver International Airport, arriving on site by 4:30 pm. 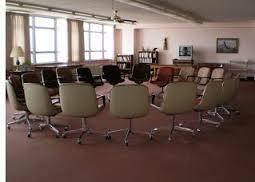 Settle into room and meet the entire group for dinner at 5:00. Our opening circle is from 6:30-8:30 pm. You’ll learn and practice the core concepts of self-directed neuroplasticity: The process through which the brain changes itself in response to experience, and the myriad ways expressive/therapeutic writing can facilitate and accelerate the process. Small group work in dyads, triads, and quads helps deepen the experience and build community. You’ll learn and practice writing processes designed to take you from positive state to positive trait. You’ll learn the roles of novelty, repetition and mindfulness in self-directed neuroplasticity. If there is a skeptical or cautious part of your brain that isn’t sure about all this positivity, you’ll learn to listen to and nurture it. Research shows that well-being is a skill that can be learned, and four of its qualities have been identified. The neural circuitry associated with these hallmarks responds to self-directed cultivation efforts. In guided writes and small groups, we’ll examine and explore each hallmark. Each participant will have an opportunity to present an action plan for integrating learning and taking next steps. We’ll ceremonially close and be ready to shuttle back to the airport by noon. All this will take place in a community of explorers with whom to share stories, experiences, synchronicities, and connections. Those in practice will leave with basic facilitation plans to begin offering the work to students, clients, and patients. Lodging includes a comfortable single room, most with full bath, and all meals. A few rooms have half-baths (toilet and sink) and shared shower room. There are limited shared rooms available, each with private bath. Fee: $1495 through Feb 28, then $1645. Inclusive of lodging/meals. Payment plan available. $250 nonrefundable deposit holds your space. Lodging in single rooms with full baths is assigned in order of receipt of deposit. CE hours: 24 CE hours. Center for Journal Therapy is an approved continuing education provider (ACEP®) for the National Board of Certified Counselors (NBCC) and an endorsed provider for the International Federation for Biblio-Poetry Therapy (IFBPT). This workshop counts as one elective course at the Therapeutic Writing Institute. (TWI). 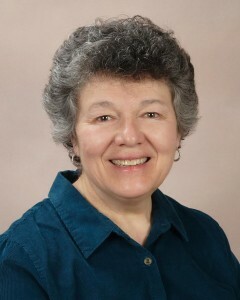 Facilitators: Deborah Ross is a licensed psychotherapist in the Washington, DC area. A graduate of the Therapeutic Writing Institute, she is also alumni of Dan Siegel’s Mindsight Institute. Kay Adams is founder/director of the Center for Journal Therapy, the Therapeutic Writing Institute (TWI), and the Journalverse. 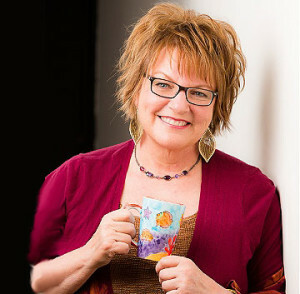 She is the author of 12 books on expressive writing. 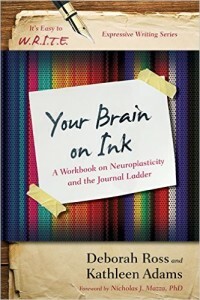 Together, Deborah and Kay co-authored Your Brain on Ink: A Workbook on Neuroplasticity and the Journal Ladder (2016, Rowman & Littlefield Publishing Group). To apply, please submit a letter of intent of approximately 250 words stating your interest, desired outcomes, and experience levels with expressive writing, neuroscience and group process. Send to krista@journaltherapy.com. Upon approval of your letter of intent, a $250 nonrefundable deposit will confirm your space. Single rooms with full baths are assigned in order of receipt of deposit. The Center for Journal Therapy has been approved by the National Board of Certified Counselors (NBCC) as an Approved Continuing Education Provider, ACEP No. 5782. Programs that do not qualify for NBCC credit are clearly identified. 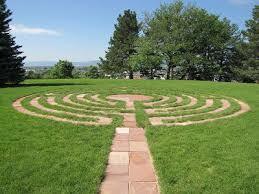 The Center for Journal Therapy is solely responsible for all aspects of the programs.